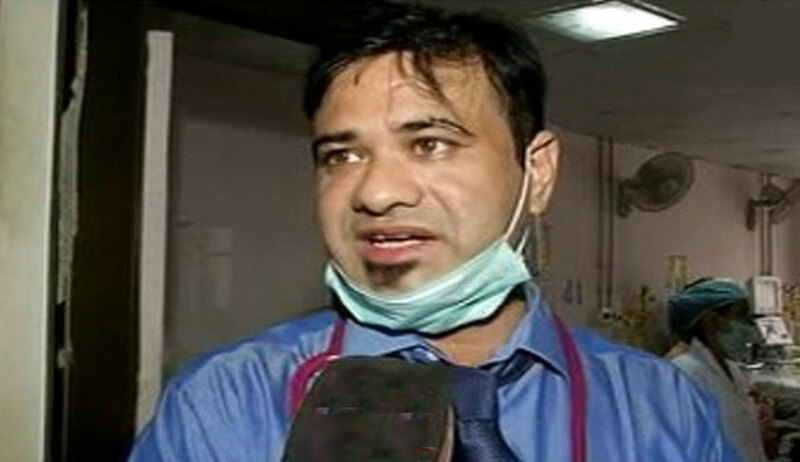 Dr Kafeel Khan, who was arrested by UP police in connection with the Gorakhpur BRD medical college tragedy where 64 children died in four days due to lack of oxygen, was on Wednesday granted bail by the Allahabad High Court. Even as he was hailed as a hero for arranging cylinder as children gasped for breath in the hospital, khan was made an accused. His bail closely follows his letter written from jail where he said he has been made a scapegoat for an administrative failure. He had even complained of the pathetic state of affairs in the jail -- from overcrowding to unhygienic conditions. Khan had moved an application for bail on several occasions before this. Only last week, his wife had held a press conference in Delhi where he rued how Khan was being kept in jail and not taken care of despite his ill-health. In August 2017 over 64 children died due to lack of oxygen in the state-run BRD hospital. Most of the children were in the hospital due to encephalitis, which is endemic in Uttar Pradesh. Khan was the in-charge of the encephalitis ward and was booked for attempt to murder. He had later told media he was being made a scapegoat and from where could he get the cylinders when the payments to the supplier were not made by the government.